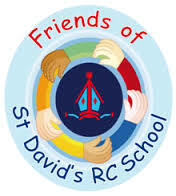 The Friends Of St David’s School Association (FOSDA) is the school’s enthusiastic and committed parent-teacher association. FOSDA has been registered as a charity with a Charity Registration Number 1166070. Every parent in our School is a member and we invite staff, past parents, past pupils and also members of our Church family to join us. FOSDA is dedicated to supporting our School and raising funds to provide much needed and much appreciated resources and equipment to enhance the children’s learning experiences. We work very closely with our School, its staff, our school families, our church family and the local community organising events such as summer fayres, winter bazaars and children’s concerts, where everyone is most welcome. How the raised money is spent is decided in FOSDA General Meetings to which all members are invited. In partnership with our Headmaster and the staff we allocate available funds for benefit of all the pupils and also supporting the School in areas identified in the School Improvement Plan. The children are also able to present their own wishes via the School Council. There is a strong partnership between parents and staff and a wonderful teamwork to support the development of all the children at St. David’s School and this is a fundamental part of our success.